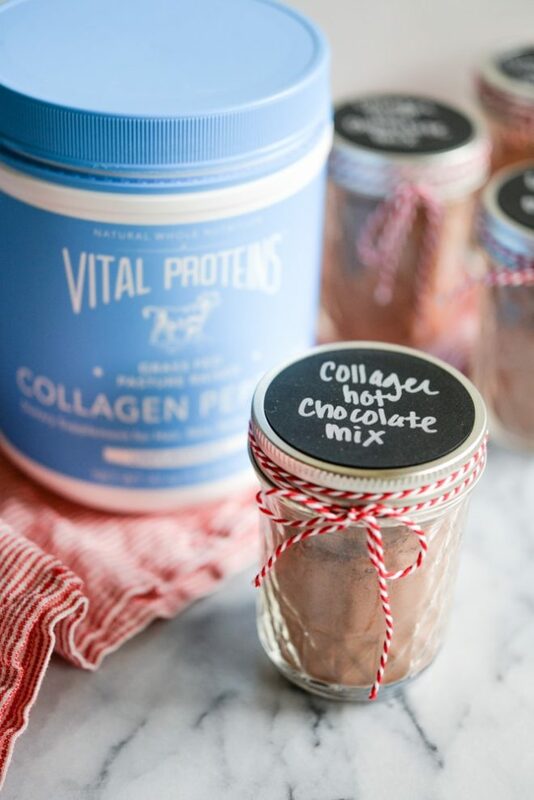 This Homemade Collagen Hot Chocolate Mix, brought to you in partnership with Vital Proteins, is a fabulous homemade, healthy token gift idea for friends this holiday season! When the holiday season blows into town each year, I feel like Mary Poppins standing on the front porch, umbrella extended, ready (read: eager) to be swept off my feet. The precious season settles in for, what feels like, the blink of an eye before floating off again. It will leave us with Christmas tunes in our head, a full cup of community joy, and just a touch more wonder. Oh, what a sweet, sweet season. Let's make the most of this sweet season by spreading the most amount of joy (with a dash of wonder sprinkled in). That's where these Collagen Hot Chocolate Mixes come onto the scene. But first, we need to set the stage. This time of year probably finds you, at some point, curled up with your gifting list. Whether that list is all in your head (like me), in a journal, or on the computer, you're working up (or have worked up, you over-achiever) your list of who you'd like to sprinkle with a little gifting love this year. It may include your parents, your siblings, your hunny, your fur baby, and your human babies. Maybe it includes your favorite coworkers, your postman, and your neighbors (especially the ones who let you borrow some of their recycling bin space each week). Your list, once you've got all the names jotted down, can likely be lumped into two main categories: people you'd like to bestow with real-deal gifts & those you'd like to bestow with a smaller token. The small tokens are for the folks you want to shower with a bit more love than just the inclusion on your mass holiday card mail-out. Today's post is hereby dedicated to the small token. 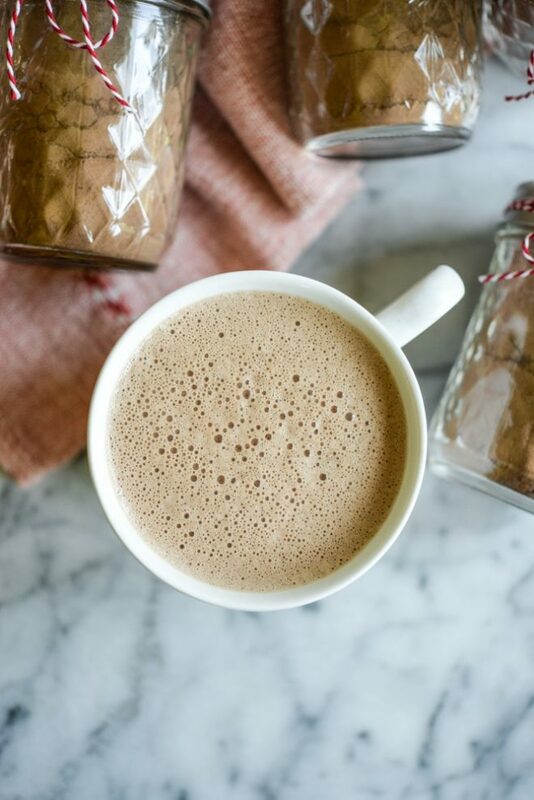 This Homemade Collagen Hot Chocolate Mix is something special. Well, first of all, they're a breeze to whip up, which is a huge bonus. This winning, bonus feeling grows the longer your “token gift” list gets. 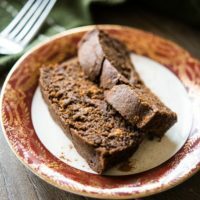 Instead of baking 36 mini loaves of banana bread (you're my hero), you just triple this recipe, whisk, pour, and seal. DONE. The greatest token gifts also always have an extra layer of meaning, don't they? 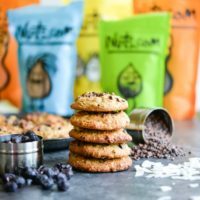 The mini banana bread is made from your great grandmother's recipe, the dark chocolate truffles are made with your very favorite fair trade chocolate, and the iced cookies were cut using the same cookie cutters you watched your mother use in her kitchen. Depth and significance weaves its way into even the smallest gifts, making them even more special. 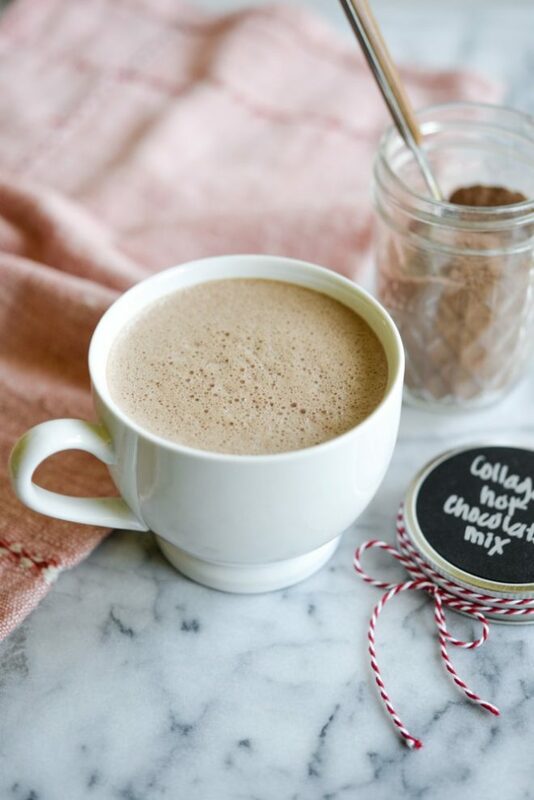 On the surface, this Collagen Hot Chocolate Mix will allow your friends to whip up one DANG tasty cup of hot chocolate. But this Collagen Hot Chocolate Mix also has depth. The Collagen Peptides you've thoughtfully whisked in signify an important wish: good health. 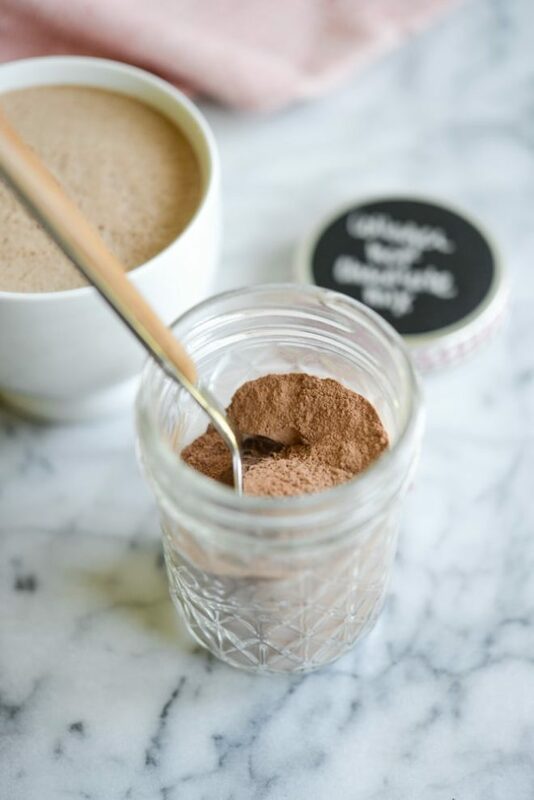 Why Collagen Peptides in hot chocolate? Good question …but, my answer is, why not? 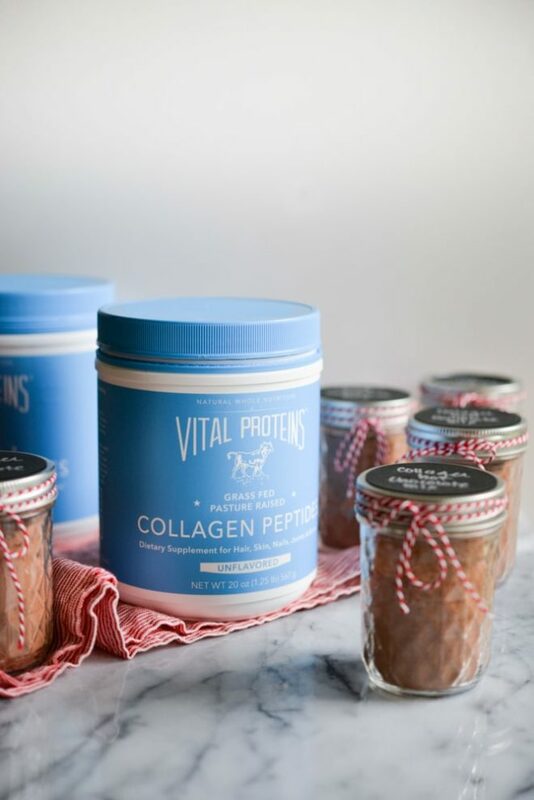 The health benefits of collagen (which I outlined in THIS blog post) are TREMENDOUS. It's good for our hair, nails, skin, joints, gut, brain, the list goes on! 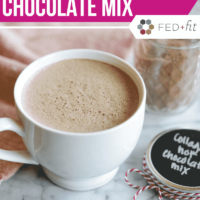 Won't Collagen Peptides change the flavor of the hot chocolate? Another good question! No, it will not change the flavor. 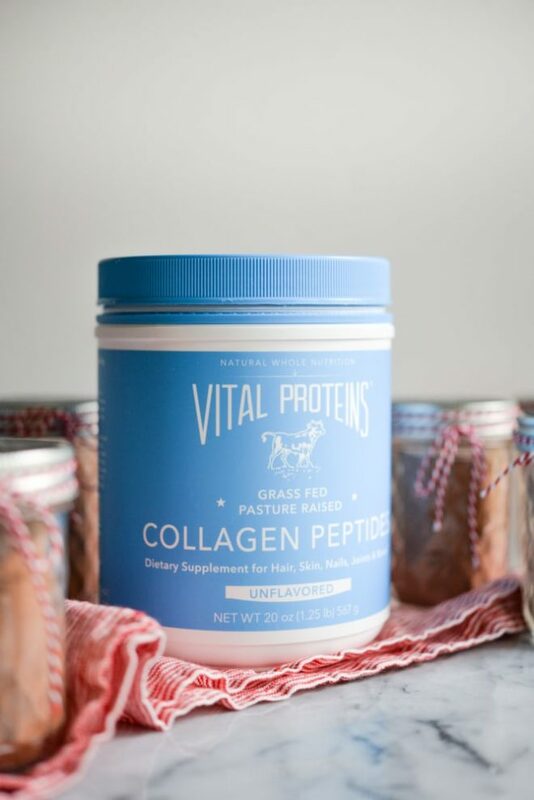 THIS COLLAGEN that I personally use, buy, and love (by Vital Proteins) is flavorless, odorless, and easily dissolves in liquid. It's a true nutritional gem. 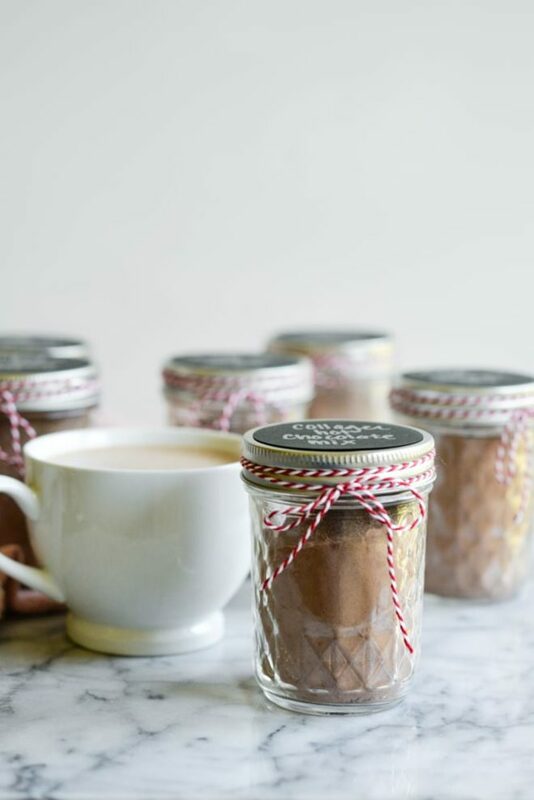 Your giftees will have no idea, other than the name on the label, that they're enjoying delicious hot chocolate that is also GOOD for them. That's it! Everything I personally used is linked above. Place your orders and your Homemade Collagen Hot Chocolate Mix kit will arrive soon. 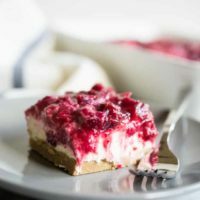 If you're feeling even more ambitious, you could also print or write a tag to accompany the mix that includes instructions and/or the ingredients. 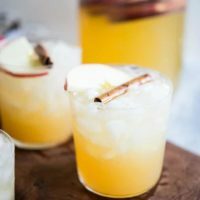 Your giftees can enjoy this mix by stirring or blending (blending is my personal favorite) into to milk (dairy-free or regular). 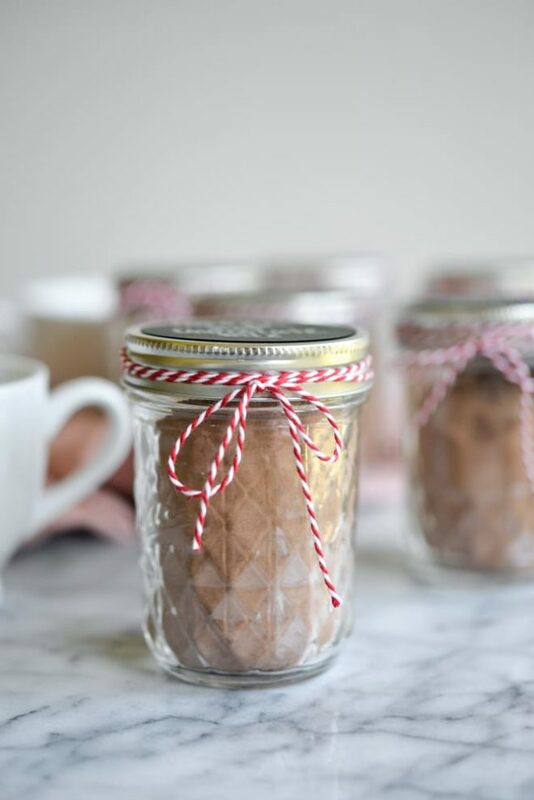 They'll get about 4 frothy hot chocolates (made with 2 tablespoons of mix) from each jar. I hope you enjoy this hot chocolate and I hope it helps you spread the love this holiday season! In a large bowl, combine all ingredients for the cocoa mix, whisking to get out any lumps. 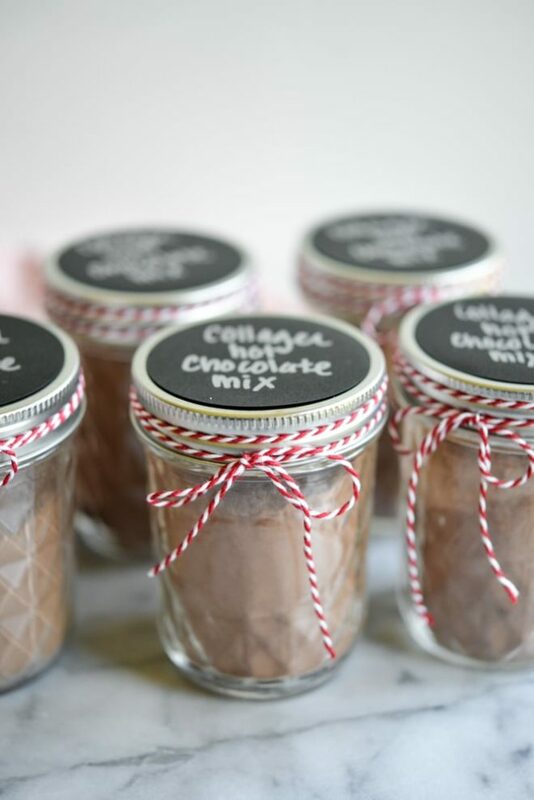 Fill each jar with about 1/2 cup cocoa mix, then place a label on the mason jar top and twist the lid on over it. Tie with a piece of twine. 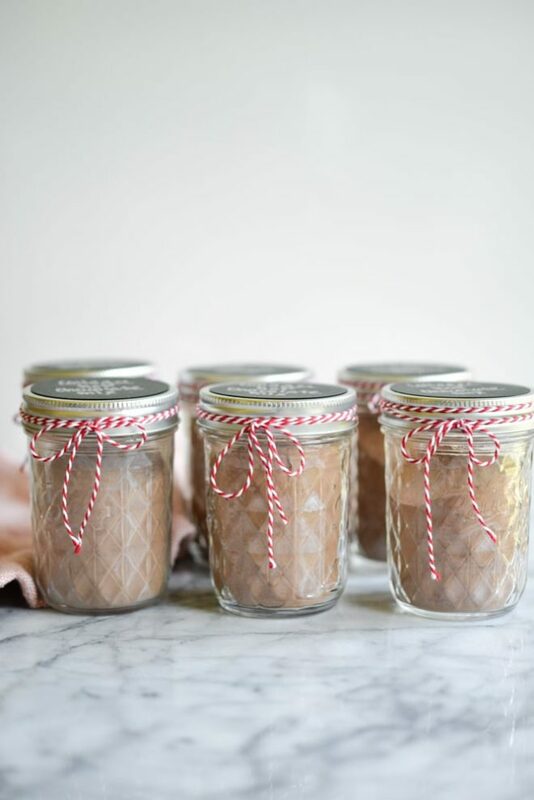 Warm 8 ounces coconut, almond, or regular milk on a stove or in the microwave. Add 2 tablespoons of hot chocolate, and either stir well to combine or blend for a frothier/more creamy texture.